Explore the ragin' Cajun's past on the streets of New Orleans - and his first, fateful meeting with a young Bella Donna Boudreaux. Love at first sight leads to a wedding that may finally unite the feuding Thieves and Assassins guilds - or set them at war like never before! Discover how Remy LeBeau's mutant powers put him on a collision course with Mister Sinister, the Marauders and a Mutant Massacre! 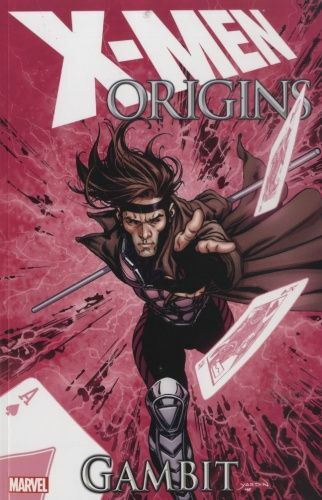 Then watch as Gambit enters the world of the X-Men - when he comes to the aid of a Storm hounded by the Shadow King! Plus: Gambit's childhood as a thief, his secret history with Sabretooth and more! Diesen Artikel haben wir am 14.09.2016 in unseren Katalog aufgenommen.